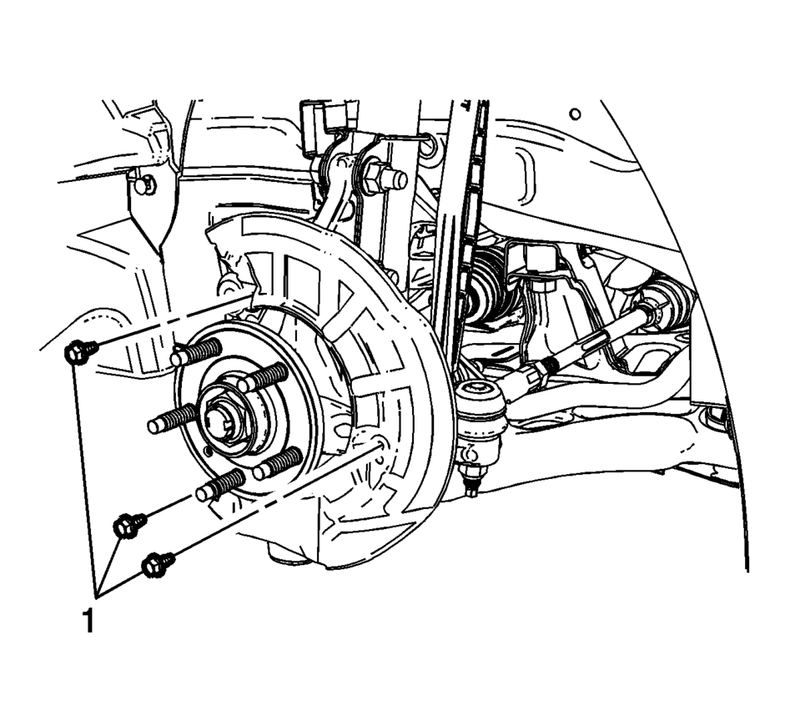 Remove the front brake rotor. Refer to Front Brake Rotor Replacement. Remove the front brake shield bolts (1). Remove the front brake shield (1). Install the front brake shield (1). Install the front brake rotor. 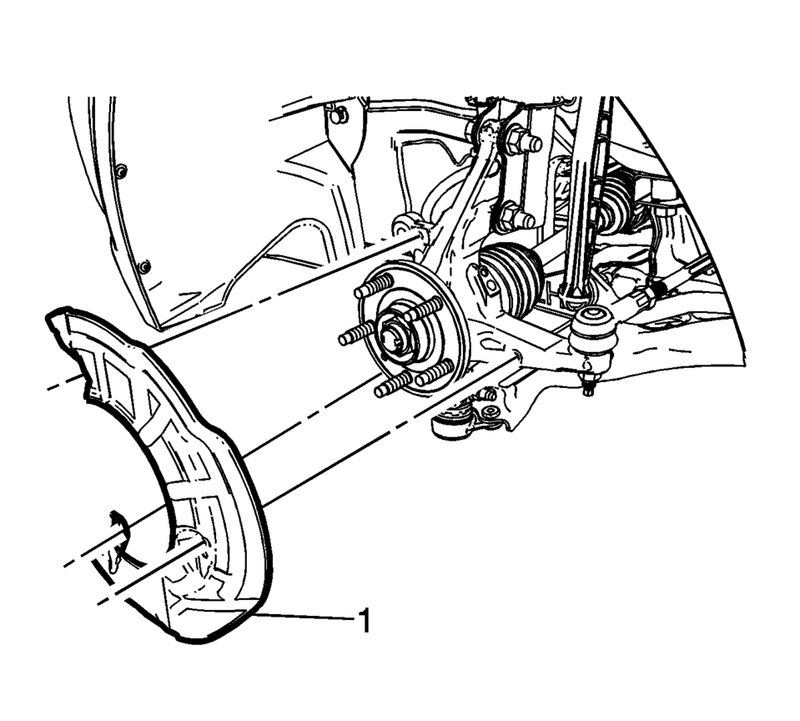 Refer to Front Brake Rotor Replacement.